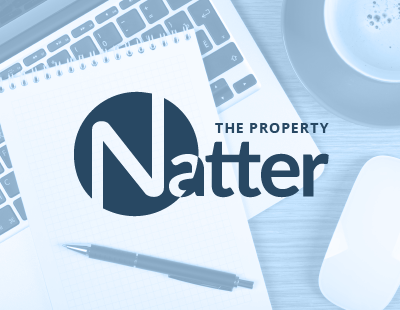 For my latest Property Natter I have sought the opinions of two well-known property consultants - Michael Day, managing director of Integra Property Services; and Christopher Watkin, a lettings agency growth specialist - for their views on PropTech, estate agency marketing and the power of websites. I have also spoken to Simon Bradbury, director of Thomas Morris Sales and Lettings, to get his thoughts on lead generation, traffic conversion and the effective calls to action. How has estate agency marketing changed in the last ten years? Michael Day: Successful estate agency has always been about winning instructions and building and maintaining relationships with customers and clients. The increased use of software and dominance of the portals has seen weaker agents becoming more reactive and, as the footfall into high street offices has reduced due to changes in consumer behaviour, these agents are beginning to lose ground to those with a more personal approach to communication. Potential customers and clients are making direct contact with agents later, therefore capturing the customer at the earliest opportunity is becoming more vital. In a ‘sea of sameness’ agents need to differentiate themselves to both capture the enquiry and then ‘farm’ it to produce business. Failure to do this results in one lever being pulled to win business – reducing fees! Christopher Watkin: Roll the clock back ten years and homeowners looked at the newspaper and the number of for sale boards in their area, making a decision based on that information. Today, the information available from agents is practically unlimited, leaving the purchasing power in the homeowner’s hands more than ever. In the past, agents had more power to influence and reason with vendors. Estate agents were trusted, and speaking to them directly was considered a reasonable step in making a decision on which firm to use. Today, however, homeowners can locate most of this information before even speaking with the agency. This makes estate agency much more difficult; how do you sell to a homeowner who already has all of the facts? Traditional strategies have much less of an impact today. The good news is that there is an entire set of new strategies available for agents who want to get an edge over the competition. How do you drive traffic to your website? And what techniques do you use to turn traffic into leads and enquiries? Simon Bradbury: We use a whole range of tactics to drive people to our website. Ironically, one of the best methods is to use old fashioned leaflets delivered door-to-door and inviting users to go online for specific benefits. We also use products from Rightmove (Featured Agent) and Zoopla (email campaigns) to link users through to our site. We like to leverage the brand recognition and trust that consumers have with these portals. In what ways do you help estate and letting agents to improve their offering? Michael Day: With over 40 years of experience in the industry and having operated at a senior level (partner/director) in some of the UK’s most successful businesses, my main involvement with agents is as a business mentor and coach, working with owners and managers to maximise productivity and performance and therefore profitability. I also help agents differentiate their offering in the marketplace and operate compliantly with best business practice. Christopher Watkin: I guide, mentor and support many estate and letting agents to be seen in a different light, to be seen as the ‘go to' person for property; better than a ‘local property expert’. We do it by providing journalistic-style ghost-written local property market reports, graphs, statistics and newsletters about local property markets that landlords and homeowners devour. How important do you feel your website is in comparison to your office? Simon Bradbury: It’s very important to have an effective website as well as an effective office operation! The latest research from the Property Academy shows that, nationally, 63% of house hunters view properties for sale on an individual estate agent’s website. Some 28% NEVER visited the office of their selling agent. Make of those statistics what you will. To my mind websites AND the office are BOTH important - though if I had to choose one without the other, it’d be the website. What is the single most important piece of advice you can give to agents? Michael Day: Always put the client at the heart of everything you do, ensure that your service delivery is world class and don’t cut corners or fees as a differentiator. Christopher Watkin: Agents, you aren’t the problem. 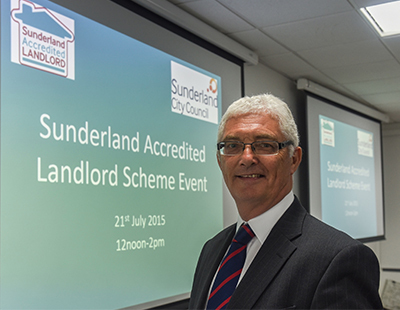 The estate and letting agency system is the problem. The system and the techniques of generating new business, which used to work 10 or 20 years ago, just don't work now. So how do you get more business for your agency? Look to how the likes of Red Bull and Apple market themselves and take reference from those successful companies. How is your lead generation split between online and offline marketing methods? Simon Bradbury: It depends upon how you define lead generation – and I simply can’t answer that. 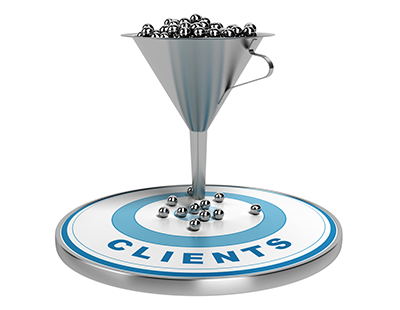 I’m a firm believer that a blend of off and online lead generation is the ideal. It’s difficult to know what it is that really does prompt a lead as that final call to action can often come at the end of a whole stack of other stuff. How can agents speak to more prospective clients? Michael Day: Spending more and more money on portal banners just to ‘keep up with other agents’ is not the answer. Using targeted rather than scattergun approaches is vital as is maximising the value of existing databases. Getting to the customer at the earliest opportunity is key. Christopher Watkin: Attracting prospective clients is like trying to attract a new girlfriend or boyfriend. You would never dream of attracting a mate by talking about yourself all night on a first date, would you? So why do we just talk about our agencies and services? The British are obsessed about the value of their homes, so I suggest all one has to do is to talk about the local property market. You have to admit - it kind of makes sense. Why is an estate agents' website now so important to their overall marketing strategy? Michael Day: It’s their ‘window on the world’ and the agent is totally in control of the content and operation. I still find it staggering that agents invest thousands of pounds on their premises and relative peanuts on their websites. Regular and fresh content is key but many agent websites are the equivalent of the high street window that has a pile of dead flies lying in it! Christopher Watkin: It's your virtual window display. You wouldn’t dream of having a shabby shop window - so why have a shabby website? Do you buy into 'PropTech'? If so, which products have impressed you most? Simon Bradbury: My favourite toys are: Yomdel Web Chat, ValPal, Featured Agent from Rightmove, Emailers from Zoopla, All Agents online reviews and Twitter. All of these tools are very useful and measurable but mean NOTHING without a switched-on agent who is organised and has a tested process in place to maximise returns. Michael Day: PropTech is a broad term but there are many products that can help agents win customers and provide time to communicate with customers better. The online valuation models can be an effective way of capturing local customer information early but are only of value if that information is followed up. Hardly a day goes by without a new product being launched – the ones that impress me are ones that enable agents to capture customer data, automate administrative processes and enable agents to best reach their target markets. Christopher Watkin: Some ‘PropTech’ I love, whilst some is irrelevant fluff. I have been particularly impressed with the rise of Automated Valuation Models (AVM), where homeowners can enter the details of their house and, in return, the agent can provide the potential client a free ‘online’ valuation. It’s what you do with the AVM (for example ValPal) that ensures a decent return on your investment. My clients tell me only 1 in 10 people visiting the AVM proceed to give their contact details. The art is to put some cookie on your page that will ensure when your client visits Facebook or other social media - they are constantly shown a reminder to get a property valuation. What is the best type of call to action to have on your website? Michael Day: There has to be ‘something in it’ for the customer if they are to register their personal data. All customers listen to one radio station – WIIFM (what’s in it for me?) – therefore providing them with access to valuable information is likely to attract the best results. Christopher Watkin: I see a lot of call to actions using words that simply describe the action the user is about to undertake. The problem with this is the words used are often associated with effort or loss. No one wants to think about what a click will cost them. They want to think about what they are going to gain. If your web viewers can’t see the upside of clicking, they won't click. Great answers, guys. Thanks for the contributions. If you have any comments, you know where to put them.